Product Guide - How Software works ? Understand the complete functionality of the software by watching working preview of this tool. Follow the step by step guide to achive the required conversions. First of all Install the software from our website and Run it on your system. Then Go to Start menu > Programs > Convert OST. 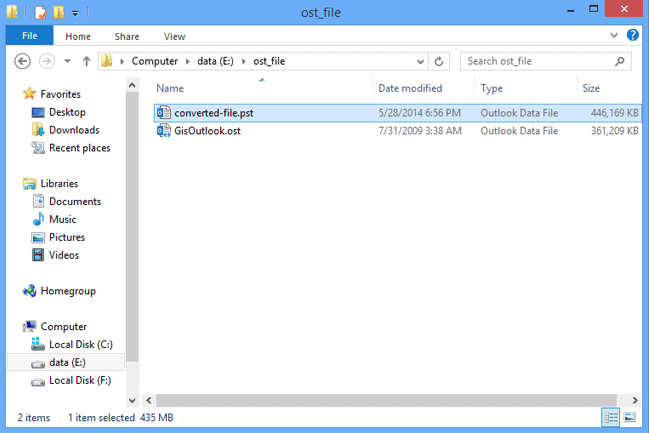 Click on it, Software wizard will open then Select Open button to find the OST file from your system. Choose the respective OST file from local system and click on open button to load the OST file. OST file scanning process start to recover corrupt OST file. After Completion of the scanning process, a confirmation message window will pops-up. 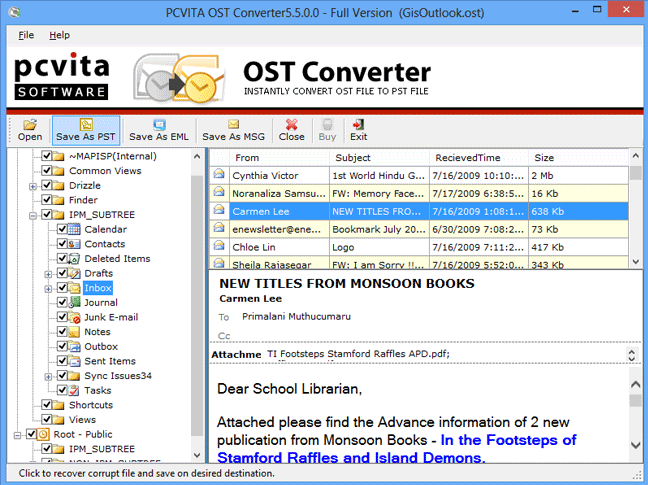 Click OK.
As soon as you click on ok button, Complete OST folder structure is displayed in the left panel. »Choose any folder and click it to expand its sub-folder and to see its all items in the right panel. »Select any item to examine its details. (Here example shows the information of selected email). 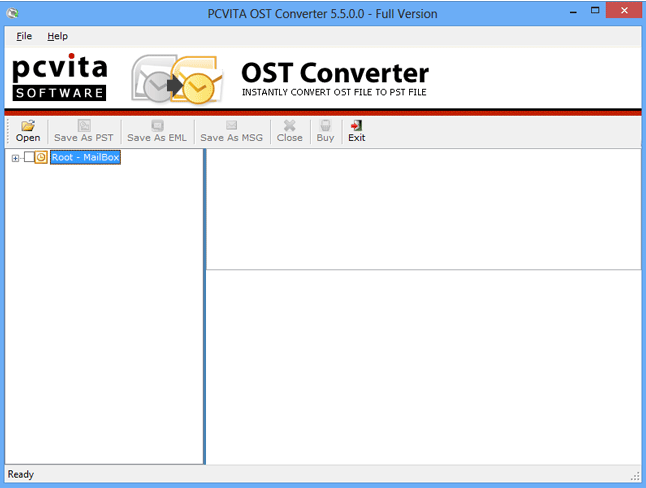 »Click Save as PST button to save OST file into PST file. 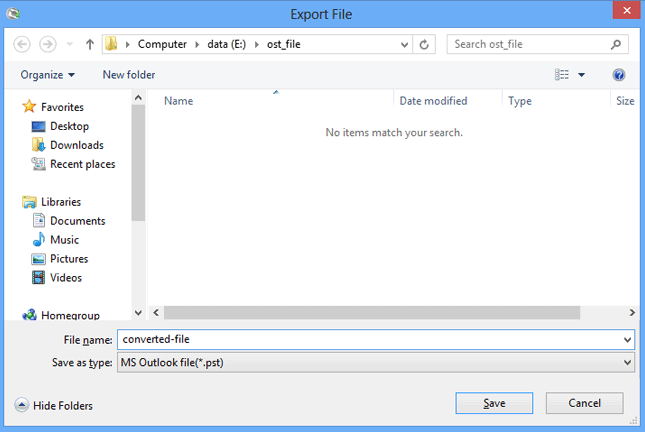 By default, all folders are selected to export you can check or uncheck folders according to your need. Select Target Folder for saving the PST file and provide an appropriate name to it. Then Click on save button. Recovery Procedure starts up; you can see the progress bar at the bottom. Software pops-up a confirmation message dialog box after Recovery Process finished. Click OK.
You can check the output PST file at targeted folder where you saved it. 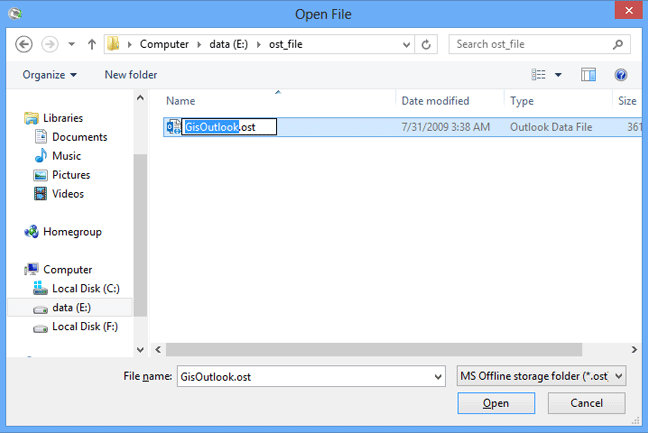 Now this Converted PST file can be open with MS Outlook.